I know I said my Jogja trip is canceled, but.. I give this opportunity to someone else who needed more of traveling time. Remember I posted video on my YouTube about "How I Pack Lite for Travel" ? Well, I consider about my boyfriend who still want to go to Jogja (without me) and I think he might need travel. Along with his sisters, they depart from Jombang to Jogjakarta which is may took approximately 265 km. They depart by train at evening, same date as my itinerary departure. After arrive in Jogja, they took a walk to their accomodation, Zest Hotel Jogjakarta. Zest Hotel is near the Lempuyangan Train Station, which station they've arrived. 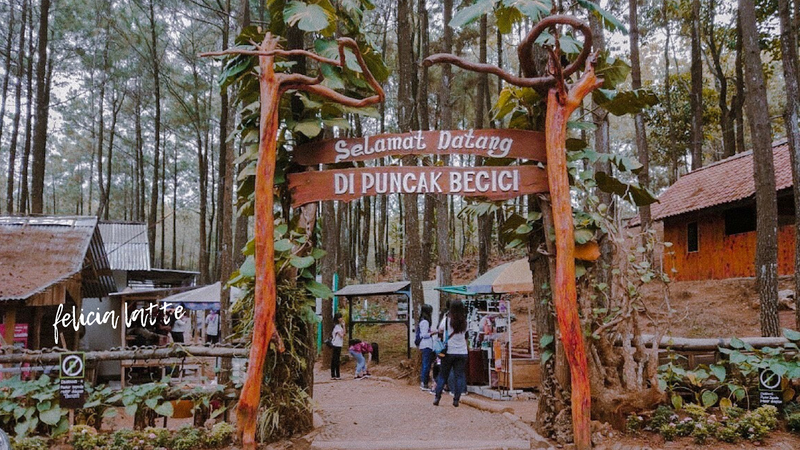 I don't get their itinerary completely, they only went to 3 object destinations which are Hutan Pinus, Taman Seribu Batu Songgo Langit (and Taman Hobbit) and Puncak Becici. I assure you that they have great time during in Jogja. Here is my quick recap of their videos that I have edited. How was that? Yes, pardon me cause of simple video taking. But I'm very happy they have a great time together and I still can give you a view of Jogja. Also, I have their note of expenses. Maybe you can take a look and take a note of costs you may have during in Jogja. *Important Note :Please due diligence first, especially if you are foreign tourist/backpacker. All costs above are written for locals, like me. I suggest you to ask first how much it will cost you to buy "pecel" for example, or how much entry fee for foreign tourist, and like so. Be a pro-active traveler guys! Don't worry, Indonesia is well-known for its hospitality 😉. I plan to travel to Jogja someday, giving you more amazing experience by looking at my cinematography, I shall learn a lot, travel a lot, and also write and documentation my journey to you! Thank you for always reading my blog until now, hope you have a great time reading this!